This demo page demonstrates how EasyDNNnews can be used as a tool for creating and managing various online catalogs and directories by using custom fields in EasyDNNnews module. 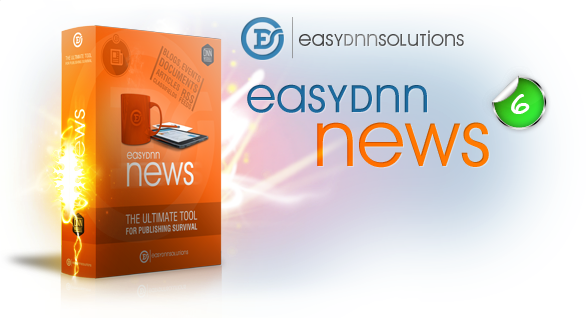 EasyDNNnews is a tool which can be used in many different ways. It is best known as the best blog and article module for DNN platform, but is also used for events, documents, at social sites, etc. (http://demo.easyDNNsolutions.com). All the themes and skins you can see on this web page are available with the full version of the module. This module holds the honor of being the all-time best selling DNN module on DNN store. 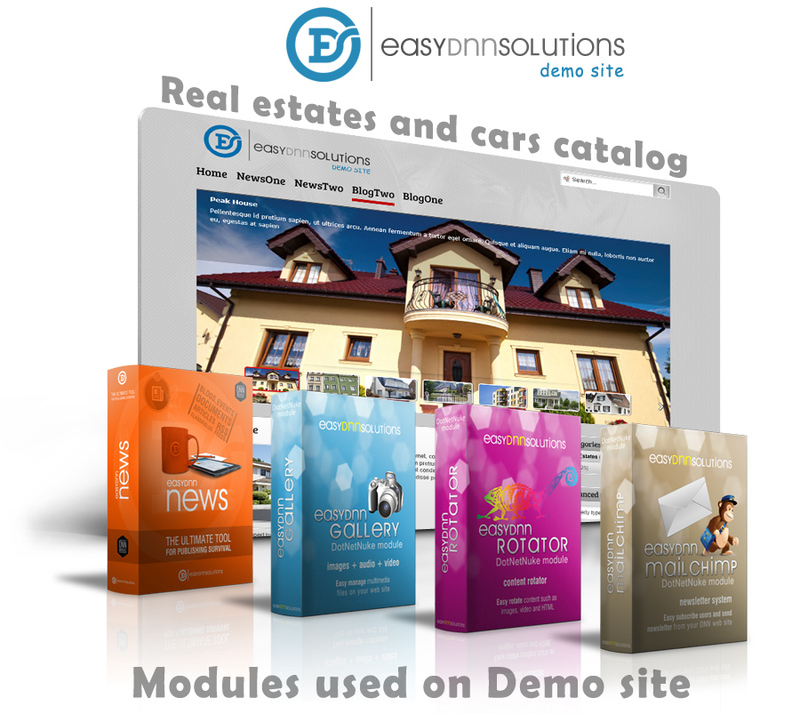 Very popular as a stand-alone module, it is also frequently used and integrated with EasyDNNnews module, as demonstrated on this demo site. Integration with EasyDNNnews module enhances its media management, and brings more advanced galleries you can use to display images and video in articles. 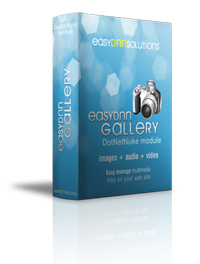 Find out more about the integration of EasyDNNnews and EasyDNNgallery modules. This module brings a number of very attractive rotators and slideshows for images and video. It can be used independently or integrated with EasyDNNnews module. 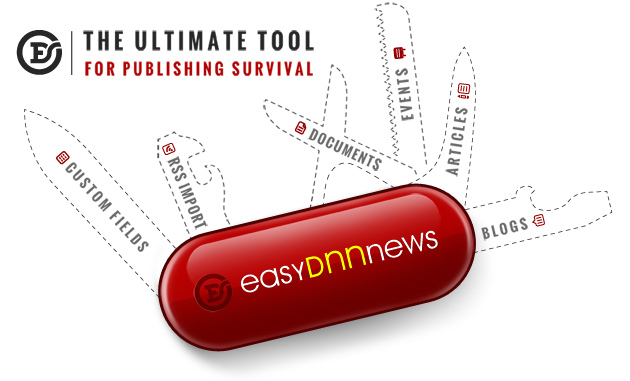 When used in integration with EasyDNNnews module, it automatically loads articles from EasyDNNnews module according to set criteria. Take a look at the attractive Chameleon rotator, SizeShifter rotator, MultiCarousel, etc. 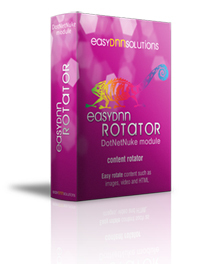 Find out more about the integration of EasyDNNnews and EasyDNNrotator modules. This module is used on the demo page to subscribe users to our newsletter and synchronize registered users at MailChimp lists. 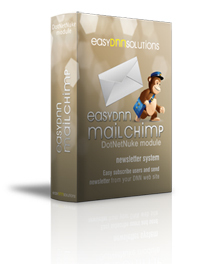 This module allows the integration of your DNN and MailChimp.